The complexity of the task of designing Computer Integrated Manufacturing (CIM) Systems that can evolve with time is recognized. This complexity definitively makes a methodological approach necessary. 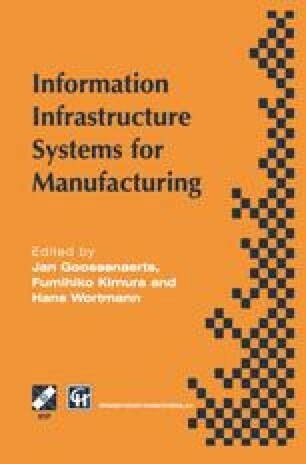 The paper proposes a methodology for the task of designing Computer Integrated Manufacturing (CIM) Systems that can evolve with time. It is based on requirements engineering formal languages that enable the expression of (i) the functional goals of the CIM system, (ii) the quality goals on the system (what qualities the system should have), (iii) the specification of alternatives solutions that fulfill the functional goals and (iv) the evaluation of these alternatives w.r.t. the quality goals. To support this methodology we introduce: the Albert II language (for the description of the functional goals) and the i* framework (for the description of the rationales underlying a system design).